Close-coupled WC pan with horizontal waste outlet in Sun King colour. Compatible with most standard UK cisterns, but do please contact us to confirm suitability for your installation. Reglazed vitreous china, conforms to current 6-litre UK regulations. 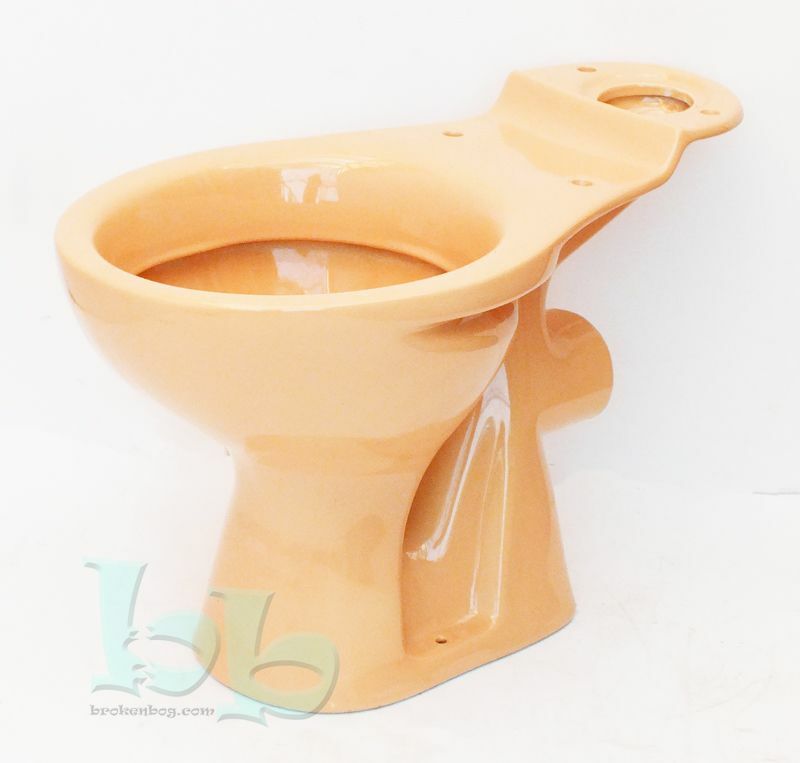 Makes an excellent replacement for many makes and models of toilet pan from manufacturers such as Armitage Shanks, Doulton/Allia, Shires and Trent who produced this iconic retro colour from the 1970's to the 1990's, can also be mixed to create a funky up to date new bathroom installation. If this item is out of stock on the online shop, as these are made to order, please note that this pan could take 4-6 weeks from ordering to delivery and can be produced in any colour.